Resort is located near Wautoma, Wisconsin, 40 miles west of Oshkosh. They have a snow sports school in the winter. Nordic Mountain offers three great terrain parks. With a Small, Medium, and Large Park, we have something for everyone. Our parks are carefully designed, consturcted, and maintained to provide the best riding experience possible. You and your whole family will love Nordic Mountain’s fabulous TUBING PARK Presented by Camp Luwisomo. The tubing park offers exciting winter fun for people of all ages and sizes (42 inch height minimum for safety). If you can sit, you can tube like a pro—it’s that easy! 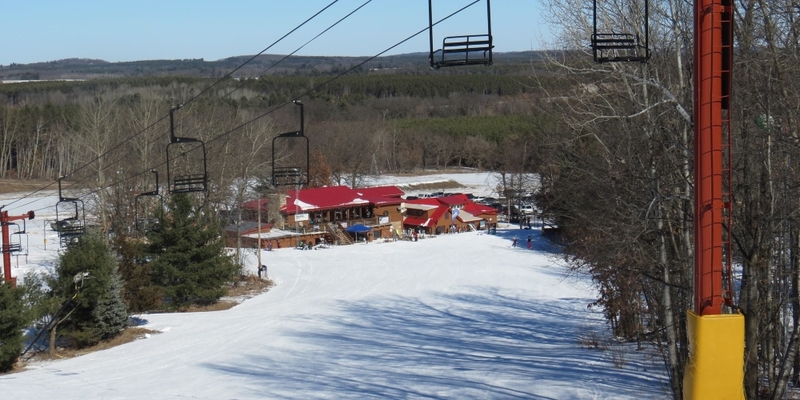 Simply ride your comfortable tube to the top of the hill using our tubing lift. Then, slide down one of our many chutes at speeds approaching 40 mph! Form a family train—or have a race to the bottom! The park is designed to be one of the most exciting tubing experiences around, while making sure it is as safe as possible. It features over 90 feet of vertical drop; a ride more than 4 football fields long; and lots of large rollers to add even more thrills to your riding adventure. I love this ski hill. Great service and always nice conditions.